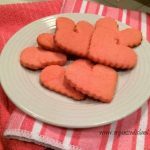 These easy and soft Valentine’s Heart Cookies are soft and tasty. A little cream cheese is a secret ingredient to these delightful heart cookies. We love to make these very Valentine’s Day as a fun and different cookie. 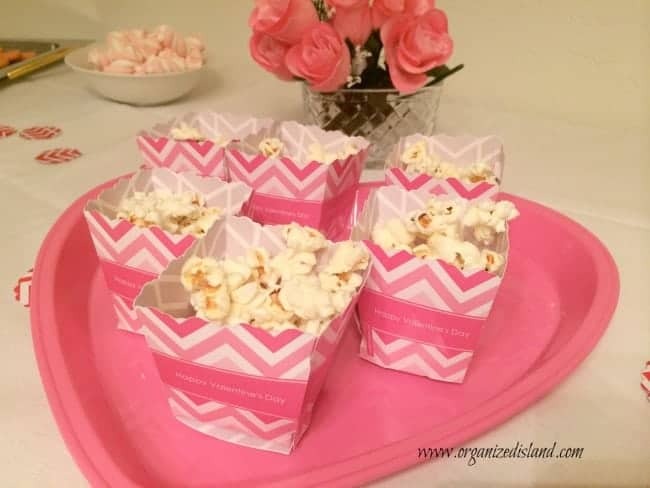 These are so delicious and easy to make and I am often asked for the recipe. I also like to change it up and make it for different holidays. You can also just make these into other shapes for an everyday treat. 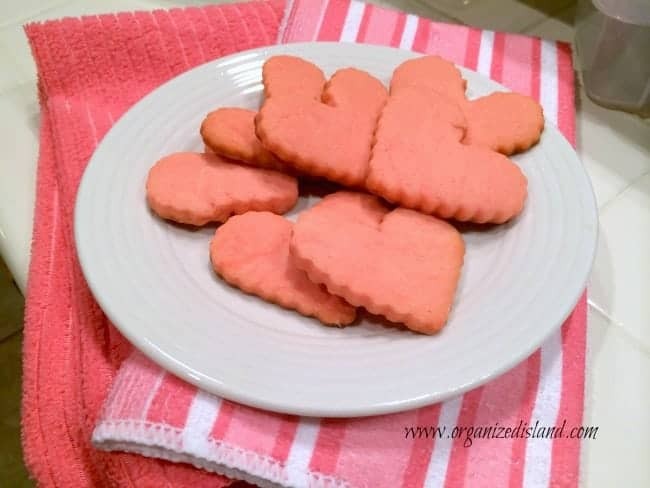 Valentine’s Heart Cookies are easy to make and are great for a Valentine’s party. When my daughter was younger, we used to have a Valentine’s party a few days before Valentine’s Day and the girls would make hand-made cards and little gifts for their friends and family. 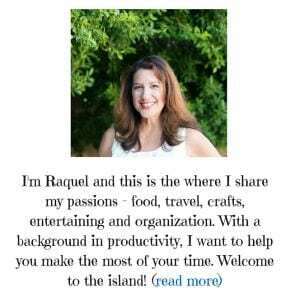 We would pull out all our rubber stamps and stamp pads and have a great time. It’s also fun to have a Valentine’s tea with friends or just celebrate your family. 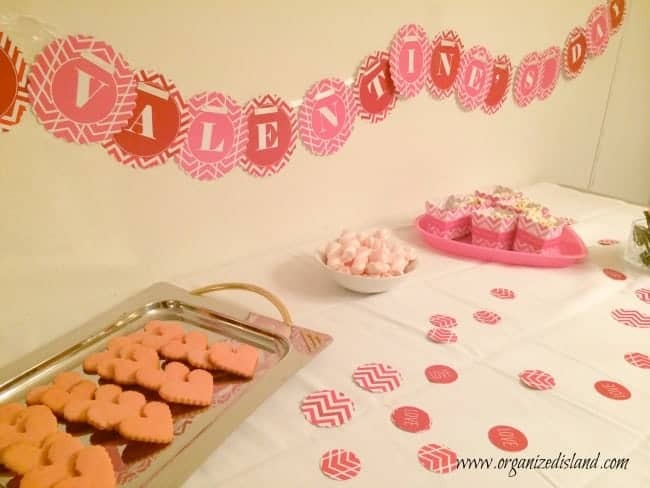 It does not take a lot of money to decorate, as you can see by my dollar store Valentine’s tablescape from a couple of years ago. 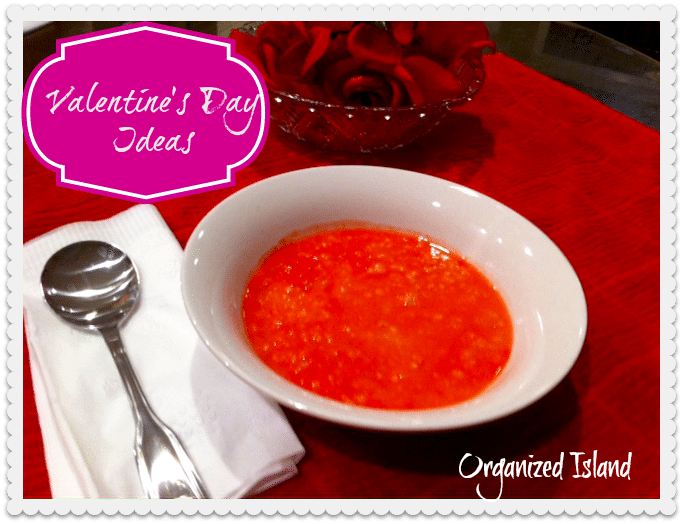 February is a great month for a slumber party or a Valentine’s Tea. These cookies are always a hit and are a great way to tell friends how much you care about them. They are soft and so pretty in pink! 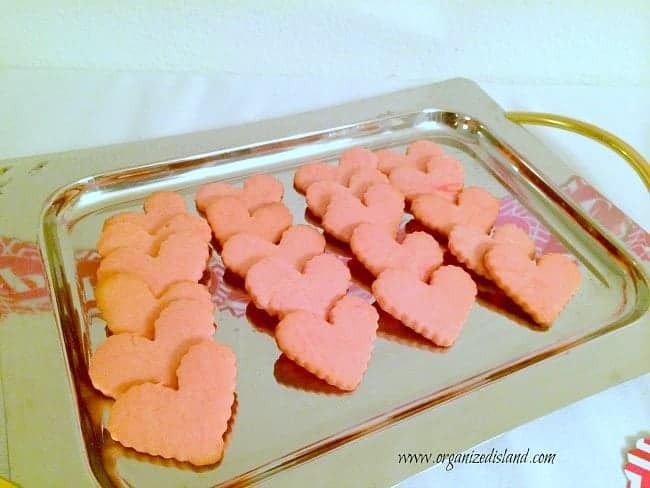 A light and tasty cookie perfect for a Valentine's party. Blend butter, cream cheese, sugar, egg and vanilla in a mixing bowl. In a separate bowl, mix flour and baking powder. Slowly blend into butter mixture. Chill dough at least one hour. Roll onto floured surface to 1/4 thickness. Cut out cookies and place on parchment paper. Bake 8 – 10 minutes at 375° until lightly brown. How do you celebrate Valentine’s Day? 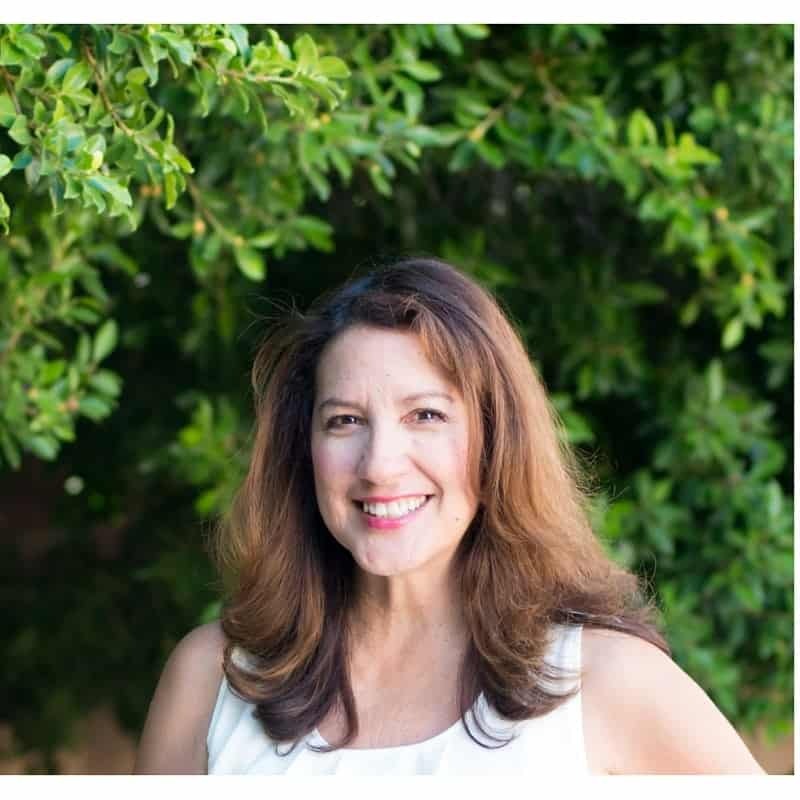 For more ideas on celebrating with your family, check out the post below. Ooh, Scarlet would love these cookies! So would I. And a Valentine tea sounds fantastic. I want to come! I know how much you all love your cookies! I think she would like these!